Why, when our ability to foresee and protect against natural catastrophes has never been greater, do we consistently fail to heed the warnings and protect ourselves and our communities from disasters, with devastating consequences? We fail to evacuate when advised. We rebuild in flood zones. We don't wear helmets. We fail to purchase insurance. We would rather avoid the risk of "crying wolf" than sound an alarm. 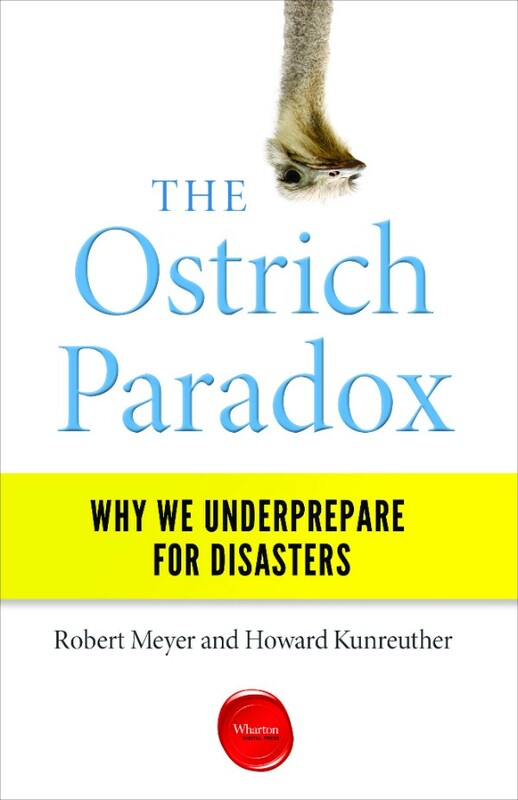 In the new book The Ostrich Paradox, Wharton professors Robert Meyer and Howard Kunreuther draw on years of teaching and research to offer six reasons why disaster preparedness efforts consistently fall short.